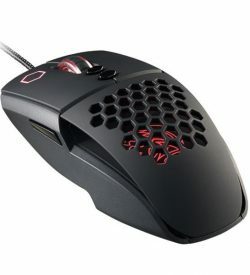 Gaming Mice | View our catalogue products | SiliconBlue Corporation Ltd. 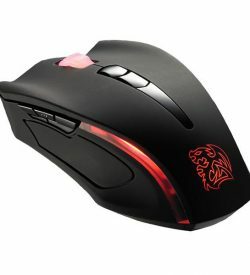 The BLACK ELEMENT gaming mouse is a stylish ambidextrous laser gaming mouse. 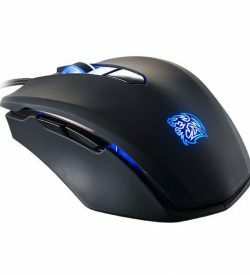 With a powerful laser sensor, programmable macros, selectable color lighting choices, as well as a configurable weight system - you can’t go wrong with the BLACK ELEMENT gaming mouse. 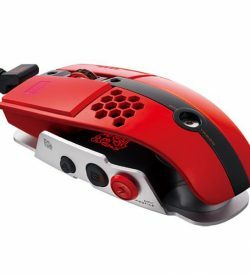 The VOLOS laser gaming mouse is specially designed for MOBA/MMORPG games, to give players the perfect control in their hand for instant access to their abilities and spells. 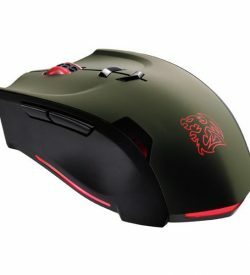 The VOLOS comes with an Avago laser sensor with up to 8200 DPI, Omron switches with life expectancy of up to 5 million clicks and a total of 14 configurable buttons as macro keys. 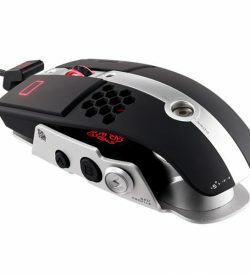 Talon The TALON gaming mouse features an AVAGO 3050 optical sensor, with up to 3000 DPI, and a unique 6 color cycling effect lighting system. 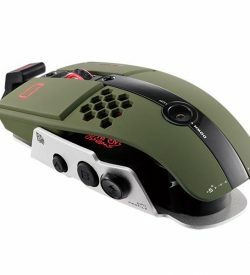 It offers good stability and accuracy via great tracking precision and a high max speed.The TALON has an ergonomic, ambidextrous shape, making it great for both left and right handed users. 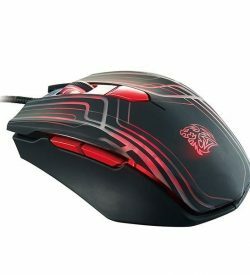 The award winning THERON laser gaming mouse feels amazing in hand with the carefully designed ergonomic shape. 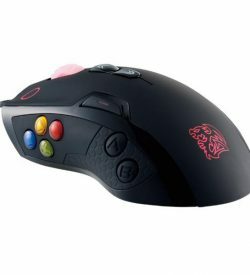 It’s highly customizable with adjustable weights, lighting colors, and macros.